Last month I had the opportunity to taste more than six hundred Washington wines over the course of several weeks, providing an interesting snapshot of the state of the industry. Here are some lessons learned. 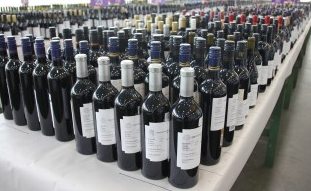 Alcohol levels lower in many 2010 reds – As expected, the cool 2010 vintage led to many red wines labeled with lower levels of alcohol compared to recent vintages, with many wines coming in less than 14% (it should be noted that there is also a financial incentive for labeling the wines in this manner and that there is wiggle room in the actual alcohol level of the wine in the bottle). A few red wines even dipped below 13%. However, there were also many wines above 14% with some over 15%. A number of the wines also displayed higher acid levels than recent vintages with some overtly tart. Alcohol levels higher in many 2012 whites - In contrast, the warmer, dry 2012 vintage produced a large number of white wines – particularly Chardonnay, Pinot Gris, and Viognier - above 14% alcohol with some reaching toward 15%. Some wines were able to carry the alcohol; others were not. There were, of course, many white wines at less than these alcohol levels as well. Quality of 2010 reds shows wide variation – In contrast to a number of recent vintages that have been marked by relative uniformity in quality, the quality of the 2010 reds showed wider variation between and even within producers. While many exceptionally high quality wines were produced – in fact some of the best wines I’ve had from the state – the overall variation was notable. The vintage appears to have not only challenged growers and winemakers. In retasting some wines I’ve had previously, I saw, on occasion, more variation in my scores than I typically see. While some wines went up (not surprising as I have noted previously that a number of the 2010 reds take time to get going), others went down. I don’t know what to attribute this to but it’s not something I usually see. Off-dry white wines in abundance – Off-dry white wines – particularly Chardonnay, Viognier, Southern Rhone-style blends, and Sauvignon Blancs – seemed to outnumber dry whites. This seems a shame as few of these wines – with the exception of some of the Rieslings and Chenin Blancs – managed to reach the highest levels of quality with most lacking the acid levels to carry the sugar. Most likely the cause here is pure economics, with some winemakers professing the difficulty of selling dry white wines. In terms of Riesling, which Washington continues to make in abundance, very few producers are making it in a dry style. Viognier a strong category but… – As a group, I found a number of the Viogniers to be quite compelling – more so than the Chardonnays generally. When I first moved to Washington, I believed Viognier could be a strong grape for the state. While I still think this could be the case, and a number of wines supported this, it is difficult to thread the needle in terms of getting the fruit ripe (but not overripe) and keeping the oak usage in check. However, a number of wines accomplished this well. Those that didn’t came off as oily and alcoholic or insufficiently ripe. Adoption of QR Codes - A surprising number of wineries have begun putting QR codes on their back labels. However, in a (very) informal solicitation on Facebook, few professed to be seeing much of any traction from doing so. Alternative closures continue to lag – Screwcaps and other alternative closures continue to show minimal penetration in the state. Cork taint was consistent with the 3% level I have reported previously. Brett bites back – Whether due to vintage conditions or some other factor, there were a larger number of wines that showed Brettanomyces – typically with notes of Band Aid or barnyard – than usual with the 2010 reds. In terms of wineries, it showed up in a number of surprising places. This is concerning as it significantly impacts quality. There was also a large number of wines with high levels of volatile acidity impacting quality. The good news is that both of these are fixable issues. The bad news is that they are getting out into the wild and potentially affecting wine, winery, and potentially even industry perception. thanks for doing the heavy lifting. The 2010 vintage in Oregon was all over the map as well. Some very good Pinot, but also a lot of disappointing bottlings even from some very reliable winemakers. Just a difficult vintage. I do hope that Washington can keep its alcohol levels down. I've been a big fan of Washington reds in particular, but am drinking fewer of them than I used to because I'm weary of how hot and alcoholic many of them have become.